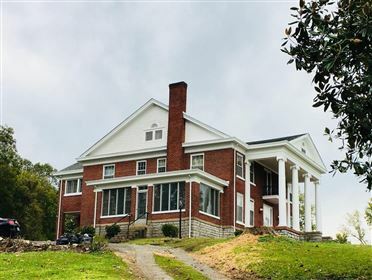 Magnolia Hall is a Greek Revival style home built in 1927 located in Burnside Ky overlooking Lake Cumberland. It is a private home available for weddings.The house is 8500 square feet. Has central heat and air it sits on 2 1/2 acres. A 1/8 mile from the marina. Quarter mile from General Burnside State Park. 22 rooms in all. Has three sun rooms, Maids Quarters, Library Butler's pantry and a separate maids staircase. Fitted out with all correct furnishings dating back to the 1920s. . Click here for additional info.